In the gloom of today’s economic situation and the uncertainty of change facing our nation, these times demand the best of not just every executive in our organizations, but every employee as well. Since the primary role of a Human Resources function is to help their organization to design efficient organizations and to maximize the productivity of their people this is a time when HR leadership is needed more so than ever. To respond to this need we are going to add an interactive column to The Background Buzz called the HR Corner to help our readers address HR problems they may be facing. If you have a HR question please email it to wbnixon@aol.com and we will choose one of the inquiries to respond to the next edition of The Background Buzz. Stay tuned for this new column. In addition, during these hard times we decided to make a bold move to help our clients increase their sales. As you know from the recent Background Buzz Insider our industry leading online background screening directory,PreemploymentDirectory.com, just got better. We are adding Platinum Plus with an unprecedented offer to guarantee that members will get at least 100 leads during their 12 month membership period or a 100% refund of their money. Did you know that 75% of PI’s conduct background checks for their clients and spend over $60 million on information based technologies. Software and database suppliers are you getting your fair share of this market? Does the PI community know about you? We can help you reach this community with a new column on background screening we will be writing for PI Magazine. Call me if you are interested in learning more about how to reach out to the PI community. Thanks again to all of you for your support and may prosperity be with you. Congratulations to Steve Brownstein and Phyllis Nadel of The Background Investigator for another superb conference. Everyone in attendance or exhibiting that I asked, said while they missed the typical higher number of attendees, it was a very worthwhile conference from all aspects: Networking, educational sessions, hotel, location and exhibitors. There were not only fewer people from each company, many companies were not there at all. There were 42 exhibitors and I was told there were 20 on the waiting list. Exhibitors were pleased with the exhibit hours and the chance to spend significant time with their prospects. CheckPoint HR, an innovator and leading Administrative Service Organization (ASO) that offers small- to mid-size organizations an integrated Human Resource Management System (HRMS) for payroll services, human resources, and benefits administration, today released its list of the top reasons why conducting employee background checks are essential. The list details the reasons why companies in all industries and of all sizes need to make background checks a standard practice in their hiring process. Employment Background Investigations, Inc. (EBI), an industry innovator in global background screening, drug testing and occupational healthcare solutions has again achieved top accolades from The Society for Human Resource Management (SHRM) by placing in the top ten among advertisers in HRMagazine's August 2008 Ad-Q Study. EBI's unique brand demonstrates an elevated caliber of effectiveness as it continues to be highly ranked by HRMagazine readers among the nations top human resource focused industries which include recruitment, staffing, finance and pre-employment screening firms. 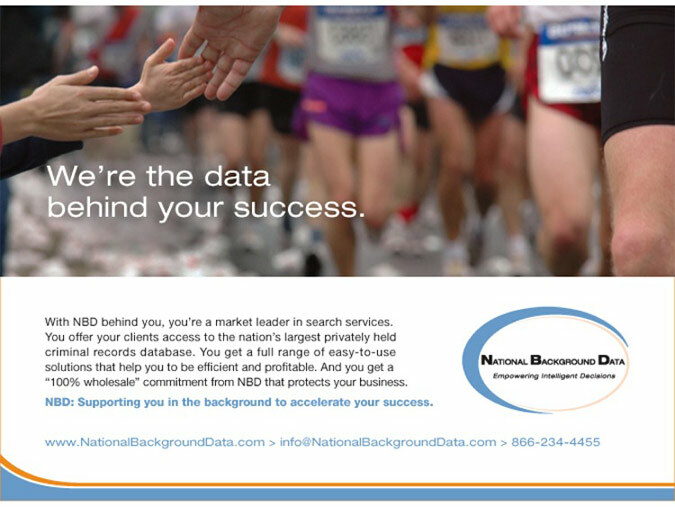 EBI finished a solid sixth among the forty-six firms who placed advertisements in the August 2008 issue and was the only background screening firm to finish in the top ten. Categorically, EBI's advertisement again captured the coveted top spot among Pre-Employment Testing and Screening advertisers for the second time in a year. Personnel screening is particularly useful in the two situations in which many companies currently find themselves: when there are a substantial number of applicants for a limited number of positions; and during the careful selection of the best-fitting candidate for a specific position, especially when it's a leadership position such as CEO. Although the goals are quite different, both situations can and should rely heavily on the proper use of personnel testing. Two major factors appear to be reshaping personnel testing: the increased use of technology and how personnel-testing companies have refocused to be more oriented to the needs of their customers. But these aren't the only forces at work. There has also been an increasing international focus in the field and the nature of specific personnel tests is changing, specifically as it relates to the use of personality measures, certification tests and general ability measures. Lately, diversity has become a central focus for many hiring organizations. As companies become more international and more representative of the nations they're based in, screening measures must continue to be studied to determine whether they are fair for all candidates. Employment History Not Covered By FCRA. USIS Commercial Services Inc.'s general practice of compiling and disseminating employment history reports for motor carriers' former truck drivers does not violate the Fair Credit Reporting Act (FCRA), the 10th U.S. Circuit Court of Appeals decided. At issue was whether data compilations USIS prepared and disseminated to assist motor carriers in complying with U.S. Department of Transportation regulations--detailing truck drivers' work records, eligibility for rehire, performance and other employment-related information--was a "consumer report" under the FCRA. Although the definition of consumer report is broad, the court noted that the statute also contains an explicit exclusion: "any ... report containing information solely as to transactions or experiences between the consumer and the person making the report." According to the 10th Circuit, the TRFs fall under this exclusion. As long as the reports include firsthand experiences of the employer, the exclusion prevails. In this age of privacy laws, employers must be careful when disclosing employee information. Employers who say too much often face costly lawsuits. However, employers who say too little may face legal repercussions as well. New York State Governor David A. Paterson has signed into law three pieces of legislation aimed at enhancing employment opportunities for individuals with prior criminal convictions by reminding and educating New York employers and employees about employers’ obligations. Employer protection against claims of negligent hiring also is enhanced. The new laws relate to Article 23-A of New York’s Correction Law, which requires employers to consider and balance a number of factors before terminating or refusing to hire individuals with a prior criminal conviction. Article 23-A does not apply where there is a specific legal prohibition on hiring applicants with a criminal history. In the midst of the turmoil on Wall Street and the screams from many corners for more Government regulation of financial institutions, the last thing you would expect is that your business is the one subject to the latest government regulations. Like it or not, you are now in the 11th hour before you must comply with the “Red Flags Rules.” If you are a large bank, credit union or credit card issuer, you are well aware of the looming November 1 deadline to comply with Sections 114 and 315 of the Fair and Accurate Transactions Act of 2003 (FACTA), better known as the Red Flag Regulations. But if you are like many small and medium sized businesses, you are just waking up to “Red Flags” and the fact that your business must have an Identity Theft Prevention Program by November 1, 2008 (a “Red Flags Program”). Mumbai, The Employer Services segment of First Advantage Corporation, Asia-Pacific's largest background screening and talent acquisition solutions provider, announced plans to launch VerifyDirect™, first-ever APAC wide contributory database-driven online background screening service, in November 2008. 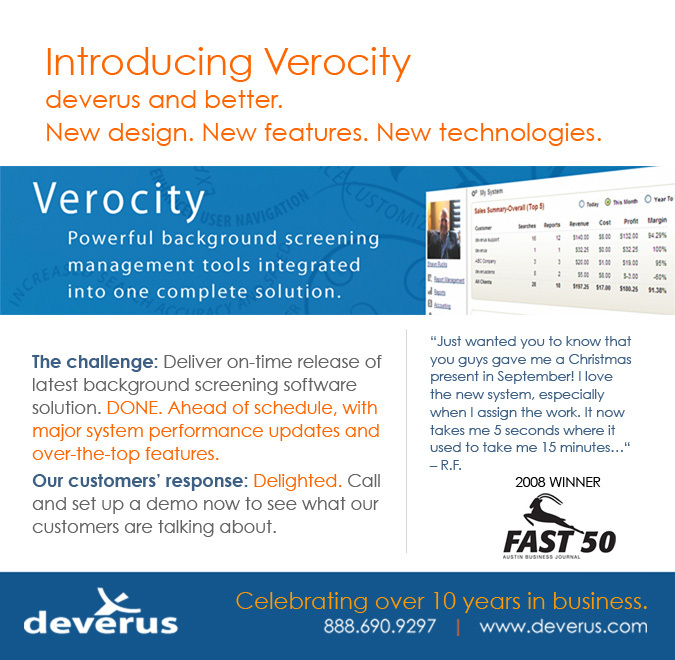 The North American launch of VerifyDirect™ took place June 22, 2008 at the SHRM Conference in Chicago. VerifyDirect™ will be the largest database for India and the APAC region for employment history records. All information supplied will be available in the public domain and will be consent-driven. VerifyDirect™ will provide instant employment verifications through secured online transactions 24/7. The online service will facilitate faster verification of facts submitted by candidates seeking employment, loans or for any other legitimate business purpose, with relatively less documentation compared to the current more conventional methods of verifying such facts. After a CRA completes a reinvestigation of a dispute, when must it notify the consumer of the results? D. A CRA only has to notify the end-user of the results of the reinvestigation, not the consumer. 2009 Budget Season is Here! For well-positioned companies, an economic recession should not prompt marketing cutbacks, but rather an aggressive increase in marketing spending to achieve superior business performance according to research authored by Gary Lilien and Arvind Rangaswamy of Penn State's Smeal College of Business. "Turning Adversity Into Advantage: Does Proactive Marketing During a Recession Pay Off?" as presented in the International Journal for Research In Marketing. The study finds that firms entering a recession with a pre-established strategic emphasis on marketing; an entrepreneurial culture; and a sufficient reserve of under-utilized workers, cash, and spare production capacity are best positioned to approach recessions as opportunities to strengthen their competitive advantage. " proactive marketing includes firms with a strategic emphasis on marketing that have already put in place the programs that help them derive value from their marketing activities (e.g., well-recognized brands, differentiated products, targeted communications, good support and service, etc. )," the authors add. To arrive at their conclusions, Lilien, Rangaswamy, and their co-author Raji Srinivasan of the Univer sity of Texas (a former student of theirs at Smeal) surveyed more than 150 senior marketing executives from a variety of industries. Nevada is the first of several states adopting new laws that will force businesses -- from hair stylists to hospitals -- to revamp the way they protect customer data. Starting in January, Massachusetts will require businesses that collect information about that state's residents to encrypt sensitive data stored on laptop computers and other portable devices. Michigan and Washington state are considering similar regulations. While just a few states have adopted such measures so far, the new patchwork of regulations is something many businesses will have to navigate, since the laws apply to out-of-state companies with operations or customers in those states. The New York Consumer Protection Board (CPB), the State’s top consumer watchdog, has published a privacy guide for businesses, How to Handle Personal Identifiable Information and Limit the Prospects of Identity Theft. The Guide is intended to help New York businesses better understand the importance of protecting customer and employee personal information and to address the growing problem of data breach and identity theft. New York is one of a number of states that have enacted laws and regulations to protect personal information,including California, Texas, Massachusetts, Oregon, and Maryland. Thieves are costing retailers and consumers $104 billion each year, or about $230 per household, according to the second annual Global Retail Theft Barometer. "Shrink is a serious threat to retailers’ bottom lines, and amounts to a hidden tax on consumers who are already dealing with the strain of tightening household budgets during the economic downturn," said Rob van der Merwe, president and chief executive officer of Checkpoint Systems, a merchandise tracking and security company that sponsored the study. In North America, shrinkage totaled $42.3 billion, or 1.48 percent of sales, with the U.S. accounting for most of it. The cost of retail crime, which was calculated on the basis of crimes by customers, employees and suppliers/vendors (excluding internal error), plus the costs of loss prevention, were $112.8 billion in 2008, compared with $108.1 billion last year. Employee theft is the No. 1 cause, making up 46.3 percent of shrinkage in North America. U.S. companies lose an estimated 7% of their annual revenues to fraud, says the Association of Certified Fraud Examiners Companies with fewer than 100 employees lost about $200,000 because of employee fraud. Small businesses often employ friends, family members and other trusted individuals, leading them to rely on personal trust rather than enforcing internal controls that protect against fraud. Unfortunately the very traits that invoke management to rely on a trusted employee create the opportunities for workplace fraud in many cases. In addition, to having a full page listing in our industry leading online background screening directory, PreemploymentDirectory.com, our Platinum members are also listed in the following sites to maximize their online visibility and SEO. According to SHRM’s 2008 HR’s Evolving Role in Organizations and Its Impact on Business Strategy survey results 52% of respondents’ businesses completely outsource background and criminal background checks, 22% partially outsource and 26% completely handle it in-house. In addition, when asked about future plans for outsourcing background screening 65% indicated plans to do so. Are you interested in keeping up with the latest developments on the world wide web and with web site technology from a business owner or business development perspective? If so you may want to sign up for Web Site Magazine. It is complimentary and written in a straightforward, easy to read and understand manner. It is published in hardcopy. The protection of confidential information, and in particular client and customer lists, is an important issue for all employers. A recent case in England highlights the potential dangers posed to employers in circumstances where an employee was alleged to have transferred his employer's confidential information to his professional networking site prior to resigning and setting up a competing business. In Hays Specialist Recruitment (Holdings) Ltd & Anor v Ions & Anor  EWHC 745, an English High Court considered the question of the confidentiality of client information once it has been transferred to a networking website. We have enhanced our International Resource Center to be a valuable resource for anyone looking for information on doing international background verifications, vetting or screening. It includes information on international data protection and other laws, terrorist searches and much more. Also included is very practical information on time zones, locating cities, holidays in different countries, etc. We will be adding all articles that have appeared in the International Section of The Background Buzz to the International Resource Center under the respective countries name. This month we have started with the United Kingdom. The addition of these articles should make it easier for you to find out additional information about conducting international background checks. We have added International Training Resources to the International Resource Center. We update this section monthly. Bookmark this valuable resource so you can quickly find the information you need. To view the International Section go to http://www.preemploymentdirectory.com/ look in the middle of the page for the gray bar like the one below. The first program of its kind globally, the productive and energizing INTERNATIONAL FORUM OF PROGRAMS FOR DRUG-FREE WORKPLACES was attended by an estimated 125 Drug and Alcohol Industry professionals from employers to service agents and treatment providers on October 14th and 15th in São Paulo, Brazil. The stated objective of the FORUM was to bring authorities from around the globe together to exchange their experiences and thoughts about effective workplace drug testing programs. There were remarkable similarities among the program descriptions relative to consensus on the important basic program elements essential to an effective Drug-Free Workplace prevention program irrespective of the various Speakers’ Country of origin. These elements included the availability of employee assistance, a policy developed with employee and union involvement and voluntary program participation/consent, program transparency, an understanding of legal authority to test, program safeguards and procedures, thorough consideration of the types of tests that will meet a particular workplace’s program objectives, sensitivity to confidentiality and privacy, employee and supervisor education, training and awareness strategy, family and community program involvement, and an intervention, rehabilitation and program monitoring component. Lawyers representing U.S. multinational firms with European Union (EU) enterprises face arrest in some EU nations if, as part of litigation, EU employees’ personal data is sought without permission, experts told a global workforce conference held in Washington, D.C. 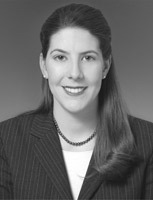 The differences in how employee privacy is viewed in the United States compared to the EU are enough that a lawyer working on litigation for a U.S. multinational corporation with operations in the EU needs to devise a strategy to collect the least amount of personalized data from EU workers as possible, Under EU law, it is illegal to possess personal employee data unless there is a legitimate reason for doing so, said Gordon, who took part in a panel discussion at Littler Mendelson’s Executive Employer Global Forum held Oct. 24, 2008. That is the opposite of U.S. law, which requires all litigants to provide information that might reasonably lead to admissible evidence, a process known as “discovery,” he said..
All the key industries tracked have shown an increase in education-related discrepancies. Maximum discrepancies for educational qualifications were related to institutions in Northern India at 34%; followed by Southern India at 30%. Employment-related discrepancy rate for the BFSI and IT sector is the highest in the last six quarters. One in three resumes had employment-related discrepancies for the Logistics, Media, Aviation and Fast Moving Consumer Goods (FMCG) sectors. The Information Commissioner's Office has published updated guidance on the exemption for personal information in section 40 of the FOI Act. Personal data of any other person (third party data) is exempt under section 40(2) if disclosure would breach one of the data protection principles. Generally this will mean considering whether it is unfair to release the information and balancing the necessary public interest in disclosure against the interests of the individual under the first principle. As disclosure under the FOIA is considered disclosure to the public at largeand not to the individual applicant, you will therefore need to balance the legitimate public interest in disclosure against the interests of the individual whose data it is. Although this requires consideration of the public interest in disclosure, the test is not the same as the public interest test used for qualified exemptions and there is no assumption of disclosure. Once again it is time to sit down, sit back, sip a latte and join us in The Background Bistro as we talk to today’s guest, Kelly Everly Lansbury, Director of Marketing for IntelliCorp. and I really love to collect antiques. While many people like to buy antiques and leave them as is, I enjoy restoring and refinishing them.I like to seek out the unique and rare ones and get a lot of use and function out of them. The great thing about antiques is that no two are alike." Living in Cleveland also fits in with another one of Kelly’s favorite pastimes - sports. With teams like the Buckeyes and Cavaliers, her city is ideal for taking in games. "You cannot live in Cleveland and not be a sports fan, I really like the Indians and the Cavaliers . Also, my husband got me hooked on college football, aside from Ohio State, we follow USC and the University of Texas. She goes on to say that of course, LeBron James, the superstar basketball player is really huge out here, he is a great success story. As would be expected for someone in her position, Kelly travels for business frequently. The NAPBS is the major annual conference for most vendors in this industry. "This past year it was in New Orleans and it was a lot of fun and was exactly the way I thought it would be. The whole vibe of the city and the energy, from walking down Bourbon Street to listening to the music. One of the things that I find very unique is the fact that many of these artists will never be discovered, but each and every night they are in the local clubs and bars singing their hearts out," says Kelly. Kelly’s passion for music certainly does not stop in the Big Easy. She purchased Sirius Radio three years ago and has been hooked ever since. The avid music lover states "I have been stuck in the 60's and 70's music since getting Sirius. I don’t think that I have purchased a CD or turned on a regular radio since then. There is always something good on there and I just love it." 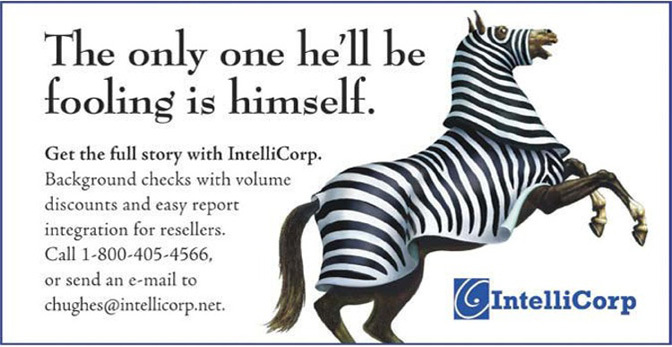 Her employer, IntelliCorp, is a nationwide provider of background screening services and employment screening products. The company provides secure and instant online access to criminal records and other public information. They help organizations of all types to reduce their exposure to fraud and workplace violence. As V.P. of Marketing, it is Kelly’s responsibility to understand the industry and evaluate the competition. She smiles as she states I am always looking for new business opportunities, searching the internet and going to conferences to find something new or a different approach. Kelly started with IntelliCorp as an Account Manager. "When I first began working here, I had the most experience as an account manager. I had been doing the exact same thing for MCI, so having that background really helped me out a lot. They listened to all my ideas and it really made it a fun and nice place to work," says Kelly. My knowledge and experience really helped me to be successful over the last five years. She is no stranger to being busy and multi-tasking as she seamlessly moves between market research, conducting competitive analysis, attending trade shows and vigorously striving to stay on top of market trends that will impact the industry. "We do vertical market research once a month and market a plan to go into whatever industry we have decided to approach. With a proprietary technology like ours, it is very important to come up with a specific plan on how to penetrate the market with a focused marketing campaign,” states Kelly. 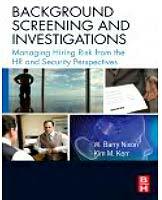 The Background Buzz is a service of http://www.preemploymentdirectory.com, the premier listing of Preemployment Background Screening companies on the Internet for employers to search for a firm to meet their preemployment background checking needs. The Background Buzz is published by the National Institute for the Prevention of Workplace Violence, Inc. All logos highlighted in ‘New Featured Clients' are the sole property of the companies named and copyright protected by the respectively named company. Please direct questions, feedback or request to be added to or deleted from our distribution list to wbnixon@aol.com.